When it comes to American science fiction shows, you can't go past the worlds created by the Master of Sci-Fi, Mr Joss Whedon. 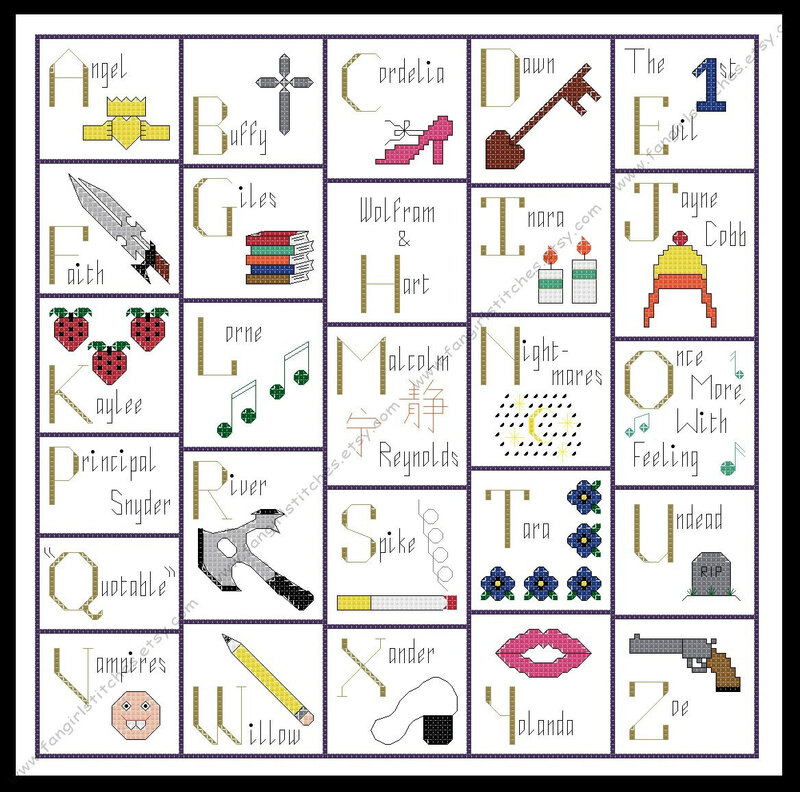 Celebrate the awesomeness of Whedon's Buffy the Vampire Slayer, Angel and Firefly with this cross stitch pattern alphabet sampler. 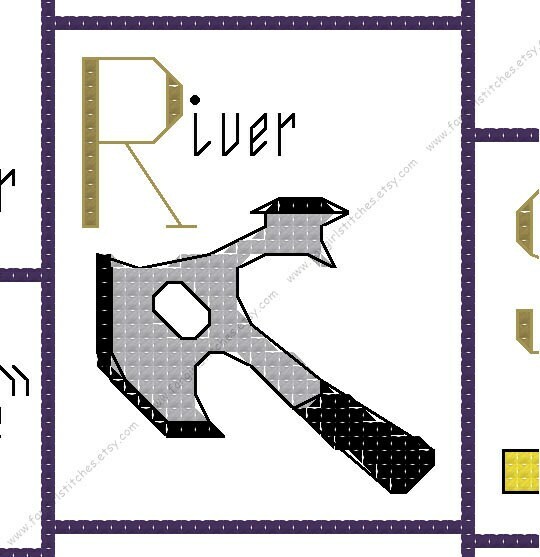 This design includes backstitch, half-stitches, backstitches, and french knots, and is suitable for beginner stitchers wanting to stretch their skills. awesome pattern! Thanks so much!! This is stitching up fast and easy - I will be back for more!